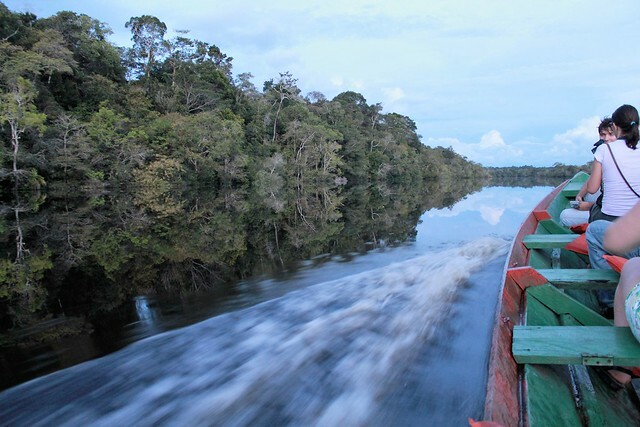 After visiting a local Amazonian tribe that morning, we left at 1530 to go fishing by motorized boat, about 30 minutes away by boat from Amazon Tupana Lodge. We used fish as bait. Only one person in our group was lucky. 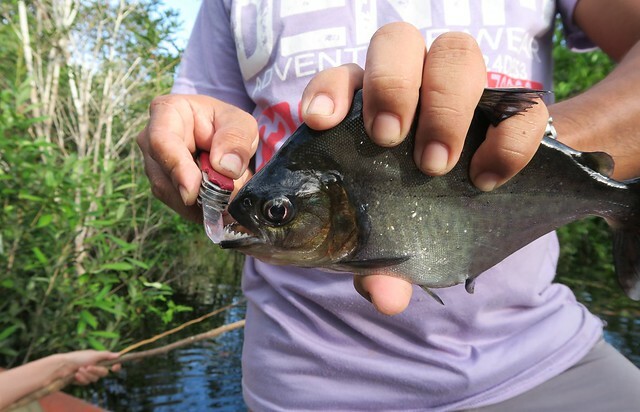 He caught 2 piranhas. There was also some creature that snapped the bait of one of the girls. I have no idea what that was. We tried fishing in another spot a few minutes away by boat but had no further luck. 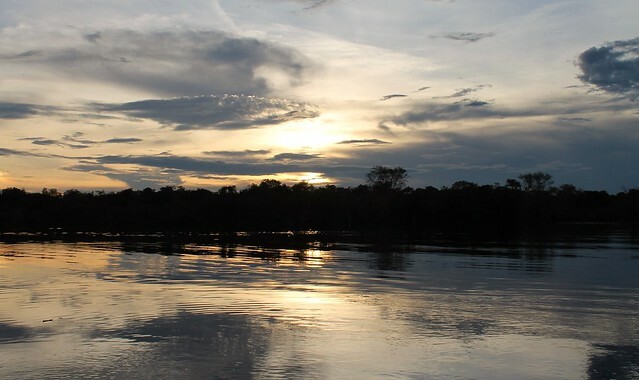 We then decided to search for the Amazon river dolphins. I saw a grey and pink dolphin. We headed back just after sunset to the lodge. Dinner was an hour later. I had fried fish and chips. Leena, the mischievous parrot had us entertained while we ate by trying to get into our eating area through holes that she had previously made in the mosquito net. 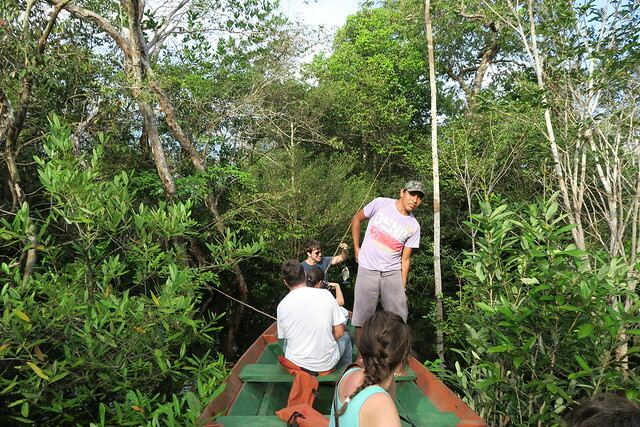 Immediately after dinner we left by row boat on a caiman spotting expedition along the river bank. It was a little scary traveling in almost pitch black darkness. The guide advised me not to switch my headlamp on as some insects are attracted to the light and in the past another guest at the lodge was stung in the eye by a wasp. 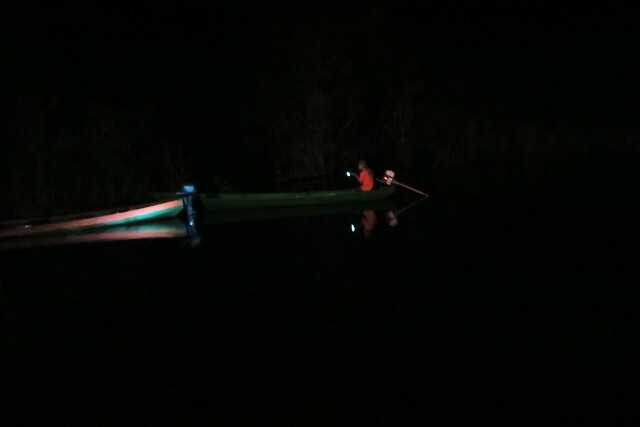 The guide used a hand torch at limited intervals to search for caimans. 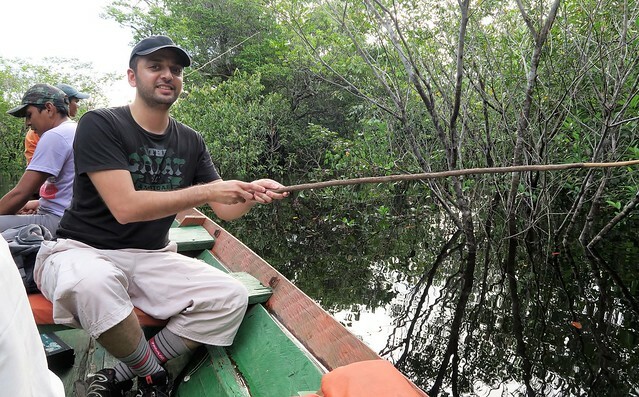 He also caught some fish alongside the riverbank with his spear. We may have seen one caiman on the way back. I’m pretty sure I saw its eyes glowing in the dark. The guide told us that they are seen more easily in September and October, in the dry season.